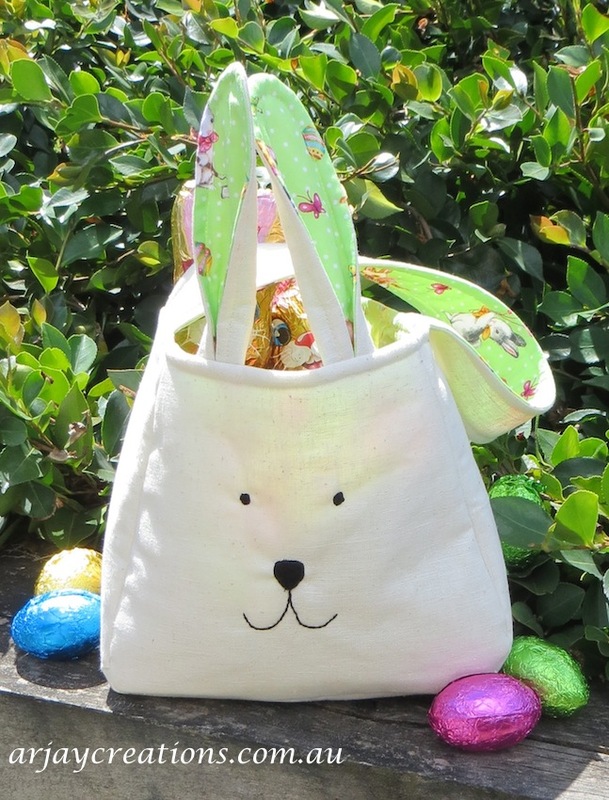 What followed was the HunnyBunny Basket. Simple steps give you the option of a bunny with ears or a cheeky chook. 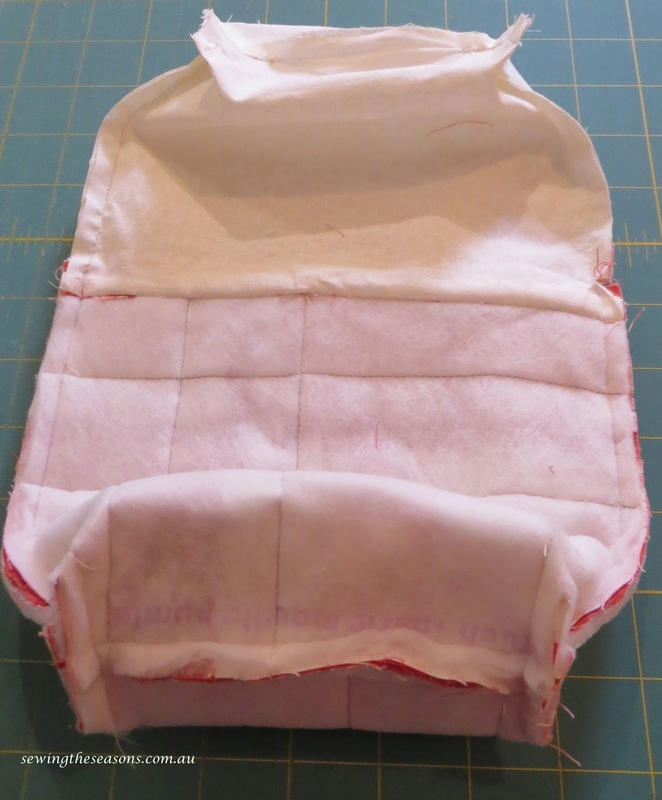 The basket can be made from any fabric and depending on the thickness of the iron interfacing used, will have a very soft or more structured look. 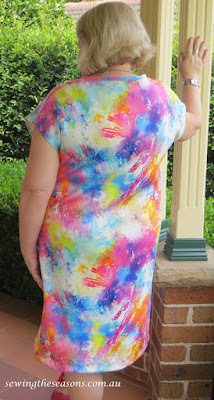 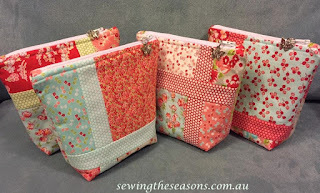 This is a quick sew project too. 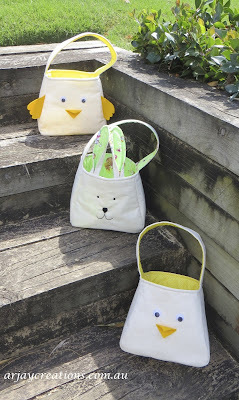 I gave some of my sample bags to a friends 3 & 4 year olds and they carried them around for over an hour as they played - a huge hit right there! 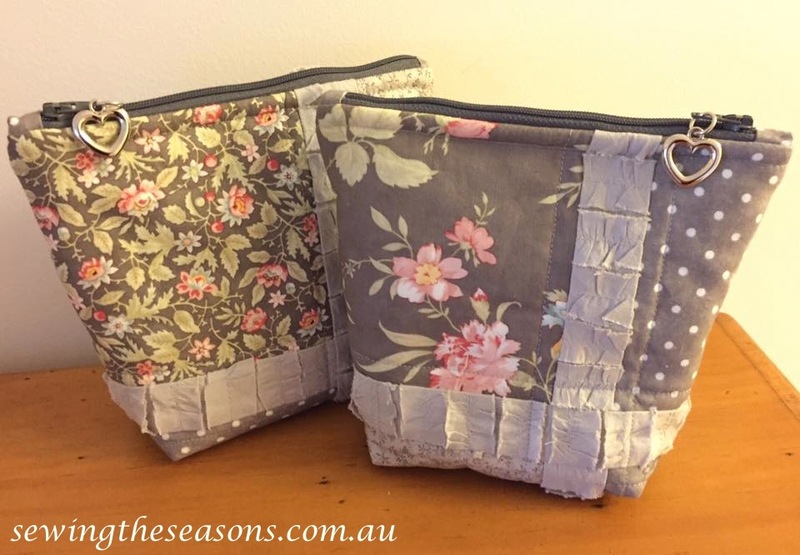 This pattern is really versatile, made in pretty floral with a lace trim and you have the ideal basket/bag for a young girl to keep her trinkets or hair ties in. 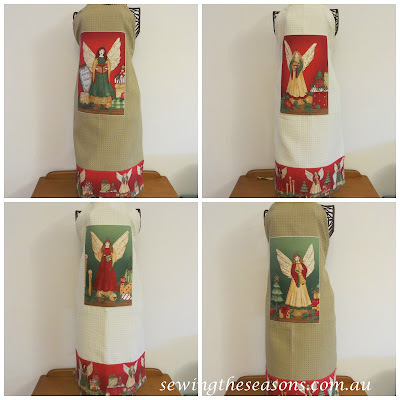 I can also picture this in bright chook or farm fabrics, ideal as a kitchen tea or housewarming gift filled with treats or even freshly laid eggs from your chooks. The design lends itself also to a baby shower gift basket, pick some cute baby fabric and fill with some gifts for a new bub. 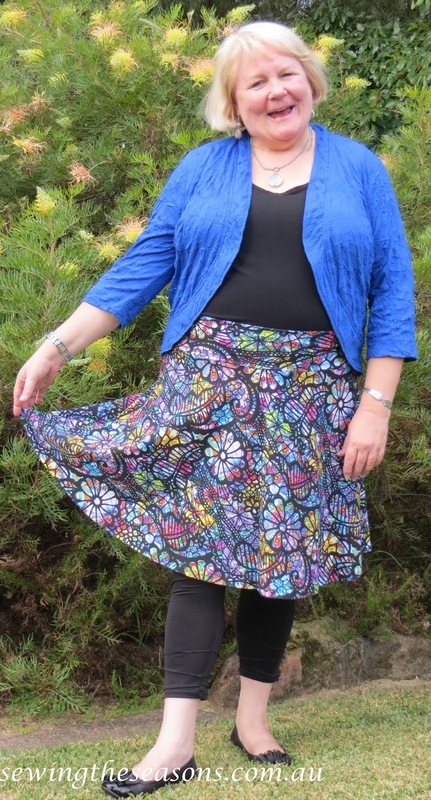 Pattern is available from my Craftsy store here. I would love to see any HunnyBunny baskets you make, pop back with some pictures to share. Over the summer break I managed to whip up a few items for my wardrobe - all colourful & easy wear. 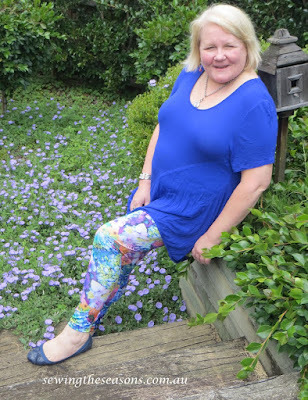 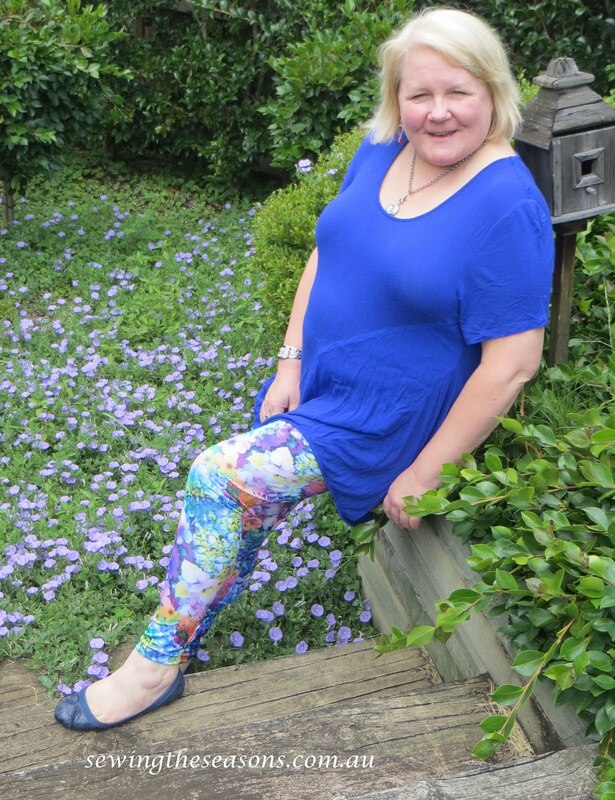 As I've shared before, I love the EYMM Active Wear Leggings, such a great pattern & this hydrangea fabric was too pretty to pass up from Boo designs right here in Australia. 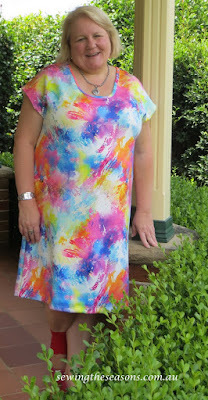 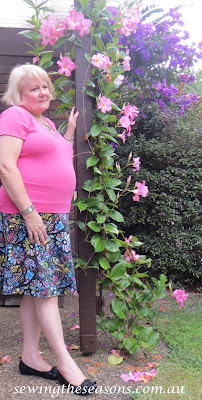 I also wanted a couple of easy wear dresses to pop on in our how weather so decided to trace a pattern off one I like wearing from my warddrobe. 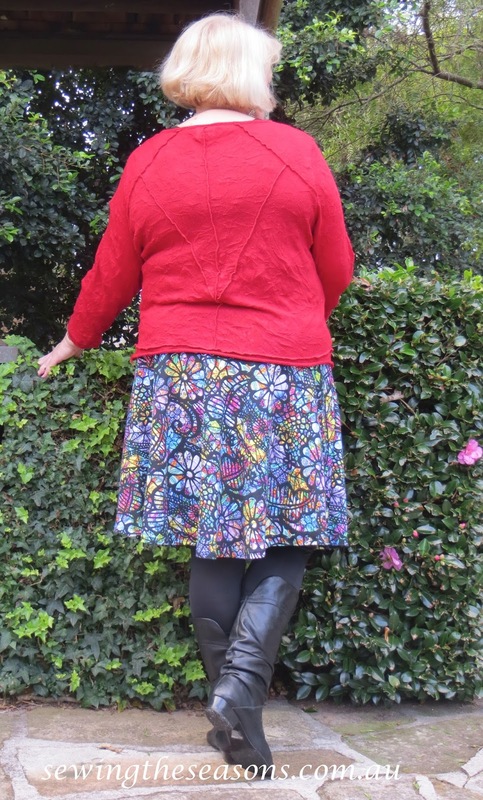 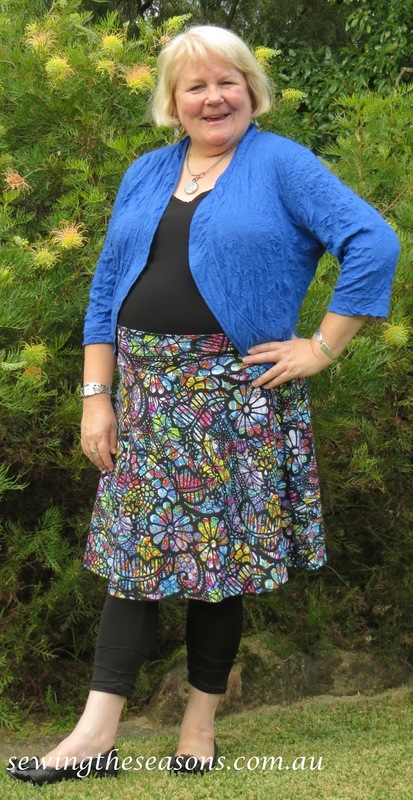 This super bright and cheer knit is easy care & I receive lots of comments when I wear this one. Same pattern but different fabric & slightly shorter due to the amount of fabric I had to work with. 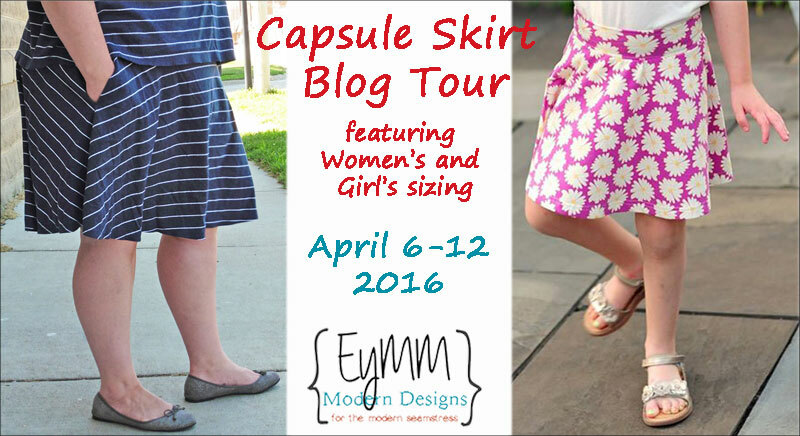 Love the fact that knits are such easy care fabrics to work with & wear. 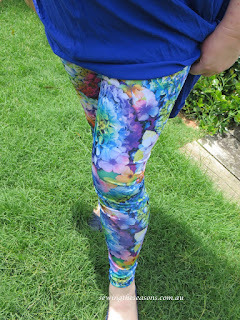 Whilst it's a bit too warm to wear the leggings as yet, am looking forward to some slightly cooler days to pop these on.